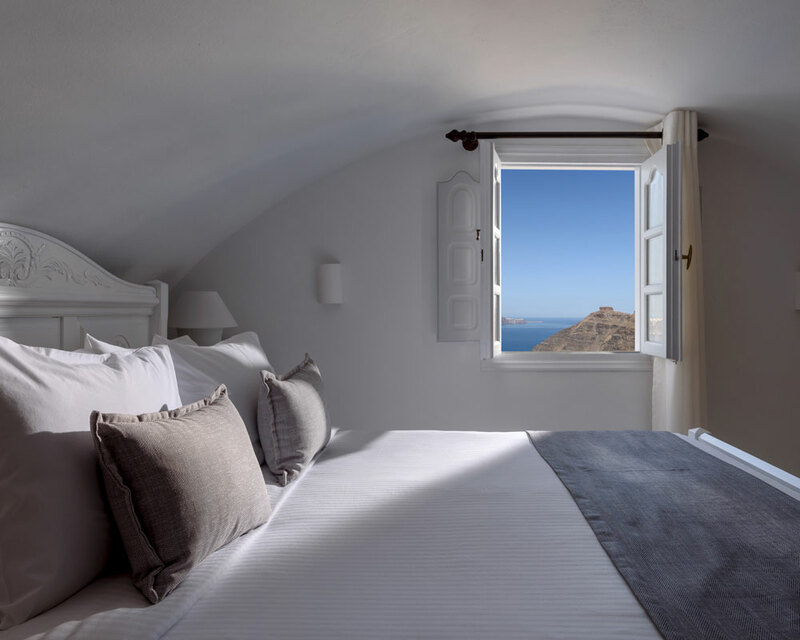 Agnadema Apartments Hotel is located in a magnificent spot right in the heart of the caldera of Santorini and the picturesque district of Firostefani. 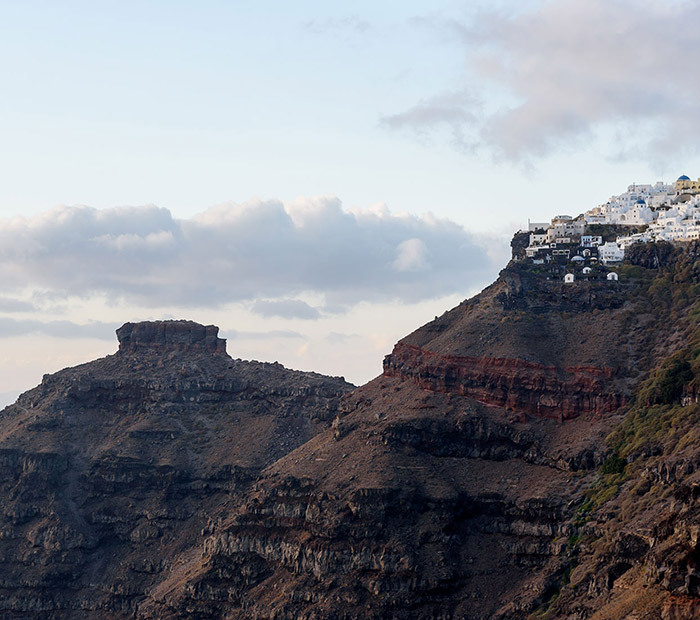 Within a few minutes’ walk you will be at the capital of the island, Fira, whereas from your room you can enjoy amazing views to the sea and the volcano. 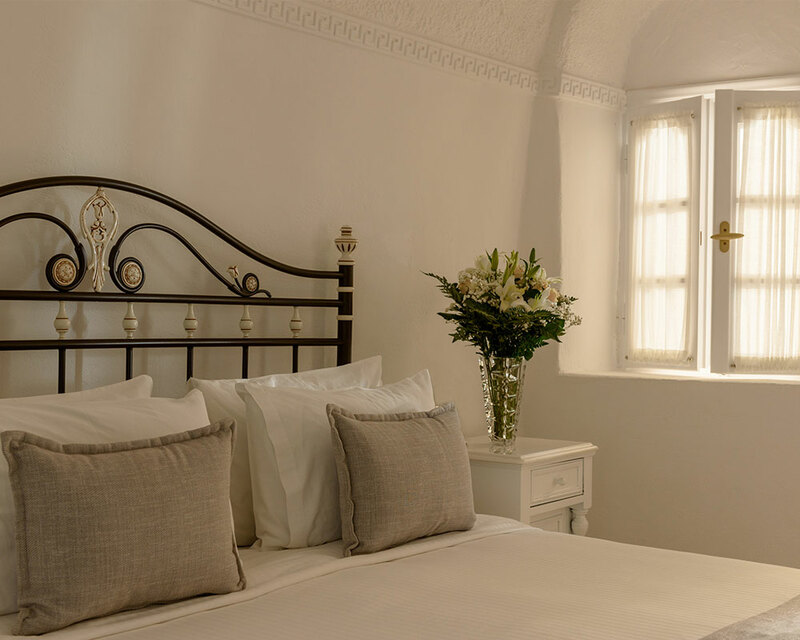 Agnadema Apartments offers accommodation in rooms, studios, apartments and suites decorated with traditional elements and sophisticated details. 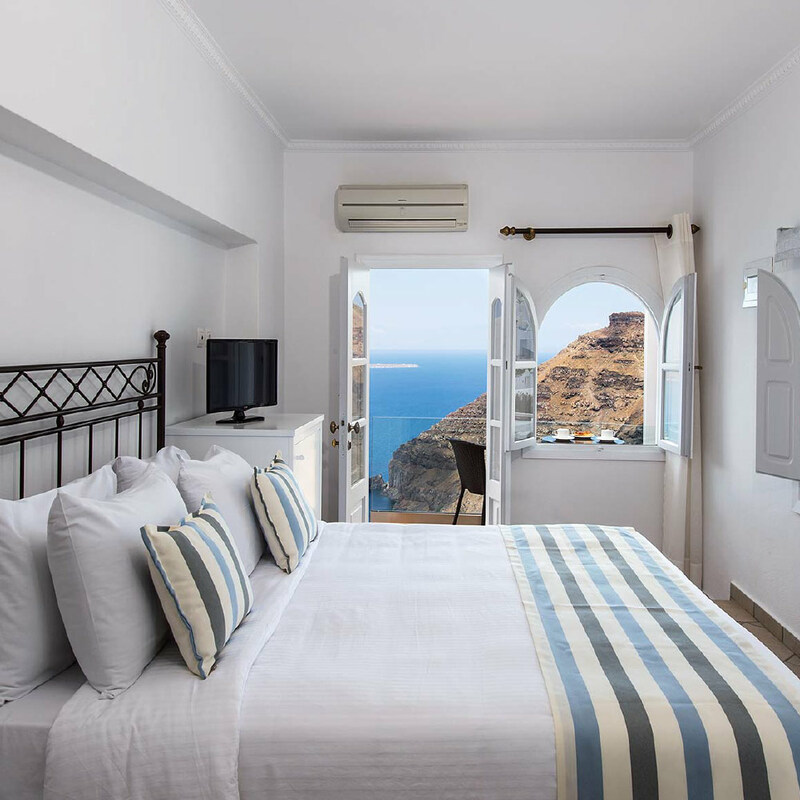 In Agnadema Apartments Hotel in Firostefani, right in the heart of the complex, you will unwind at the swimming pool and enjoy the sun lying at the cosy loungers with the views to the caldera cliffs, the sea and the volcano by your side. The sunset views are also an experience that fascinates our guests who can enjoy these magic moments from the terraces of the Agnadema Apartments Hotel. 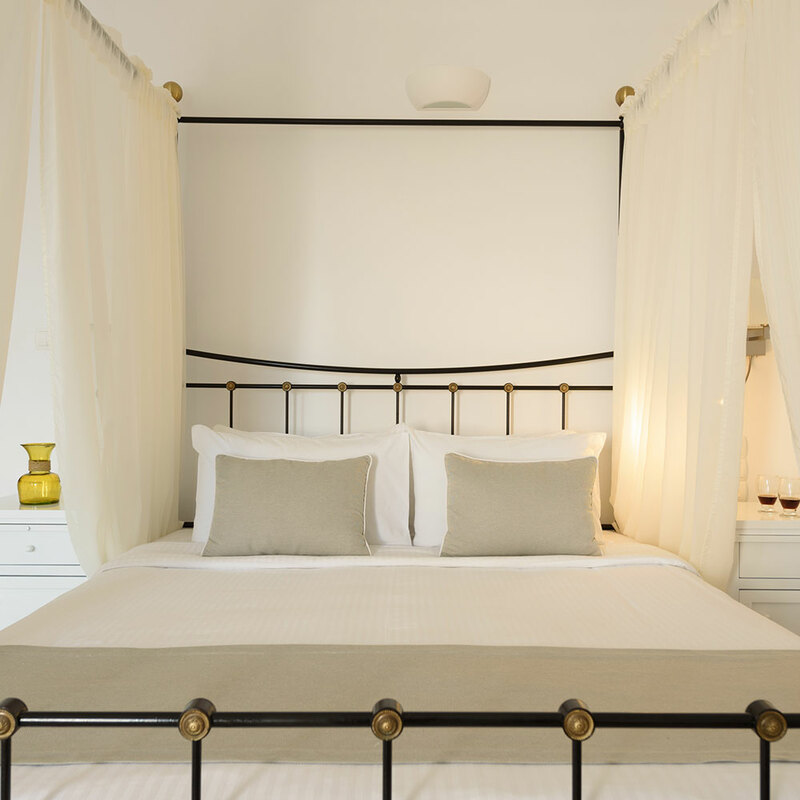 Enjoy a memorable stay in Santorini and the Agnadema Apartments Hotel that offers everything you have dreamed of for a complete accommodation experience in Santorini. 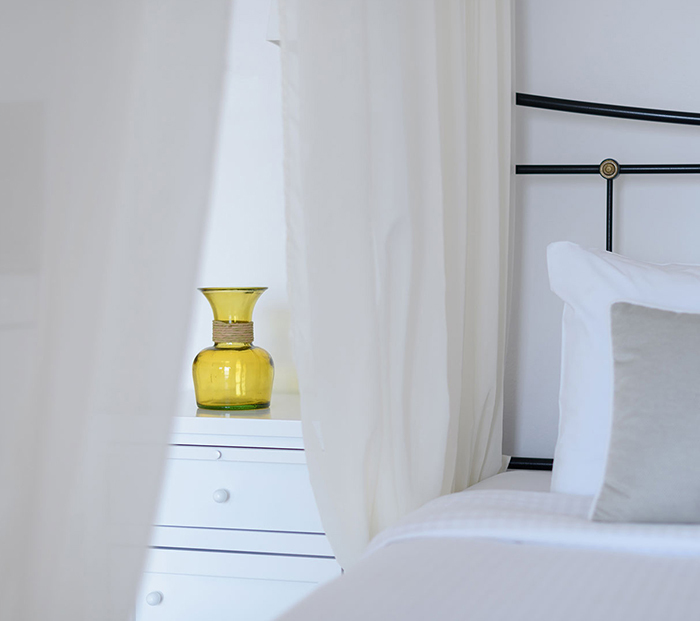 The people of Agnadema Apartments welcome every guest with a warm smile and make everyone feel unique and welcomed; just as if they arrived in their very own island home. 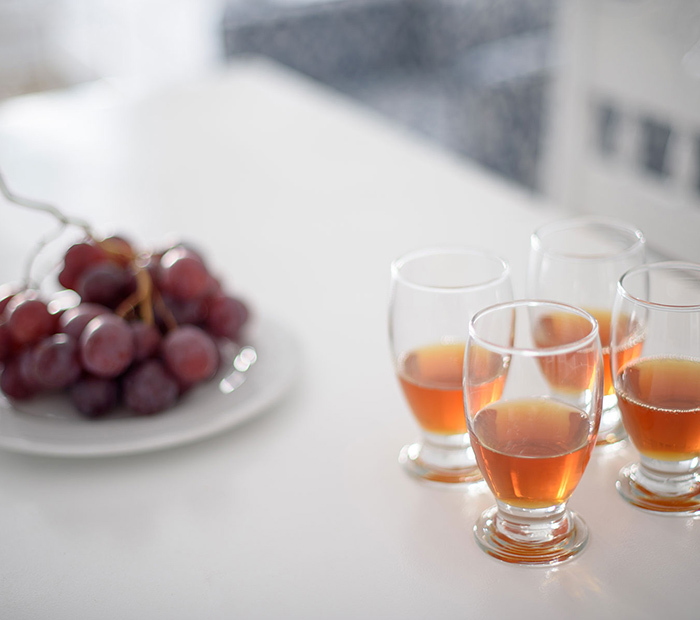 We take pride in our amiable hospitality, a trait that has earned us many valued and loved friends from all around the world over the years, and we are eager to make even more! 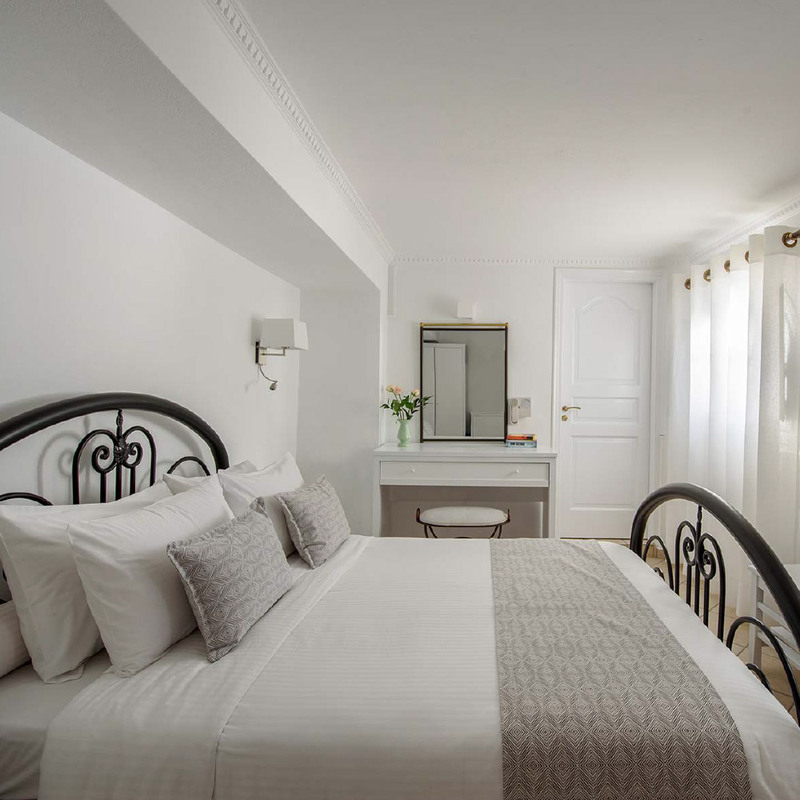 Our long experience and the love for offering genuine, Santorinian hospitality will make your stay in Agnadema Apartments such a lovely experience that you will remember the days you spent at the stunning caldera of Santorini forever.